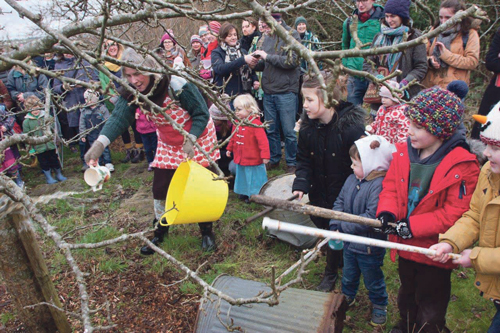 More than 200 people crowded into a Horfield orchard to wake up the trees ready for the new year in a traditional wassail celebration. The Horfield Organic Community Orchard, situated at the edge of the allotments off Kings Drive, was filled with crowds gathering around the old apple tree to celebrate last year’s crop and make a huge amount of noise to wake up the trees for the year to come. Wassailing is a West Country tradition to scare off evil spirits and ensure a good crop to make cider. Visitors were entertained by Bishopston’s Pigsty Morris dancers and Bristol Folk Singers while they enjoyed mulled orchard juice and cakes made from the orchard’s fruit. A second tree was also decorated with ribbons and traditional strips of cloth known as clouties as part of the ceremony. The annual ceremony is one of the few times the community orchard opens its gates to the public so they can see the more than 100 different types of fruit trees, bushes and vines that have been added to the orchard since it was first established 19 years ago. The newest part of the orchard is the Home Orchard Plot, which has been part-funded by a Well Being grant from Bishopston, Cotham and Redland Neighbourhood Partnership. Volunteers were busy in the run up to Christmas to weed, dig and plant trees and fruit bushes in the home orchard. It aims to show people ways to grow fruit even in small spaces. Orchard coordinator Shannon Smith said: “The plot is taking shape and so are we! Such active and muddy work is an excellent tonic to winter blues. In the summer months members of Horfield Organic Community Orchard enjoy fruits ranging from plums and cherries to apples and pears. They’re now looking for new members to join to help care for the orchard and share the fruit grown there. Shannon said: “Membership of HOCO is open to anyone and new members are welcome to join this year. “Harvest-share members enjoy a ‘dividend’ of fresh fruits, learn specialist fruit-growing skills, and have the pleasure of working and socialising in a pioneering community orchard. The orchard will hold its next open day in June, and will also open to the public on Apple Day on October 22. 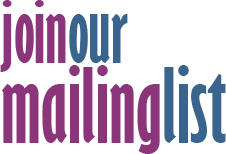 More details are on its website at www.community-orchard.org.uk.